Fix a Leak Week raises awareness about water waste. What's your lifetime impact on the environment? We can tell you. Most of the water we use is for indoor needs such as cooking or cleaning. We've compiled ways you can conserve while live in dorm or apartment. Our short video walks you through preparing your irrigation system for cold weather. This water-efficient landscaping is more than just rocks and cactus. Each year, billions of gallons of water are wasted due to inefficient landscape irrigation. 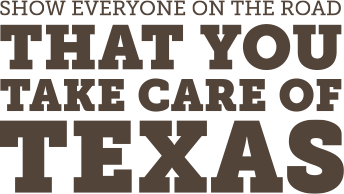 Tips to Take Care of Texas during your summer adventures! Save money and conserve natural resources at work.